Didn't get a confirmation email? 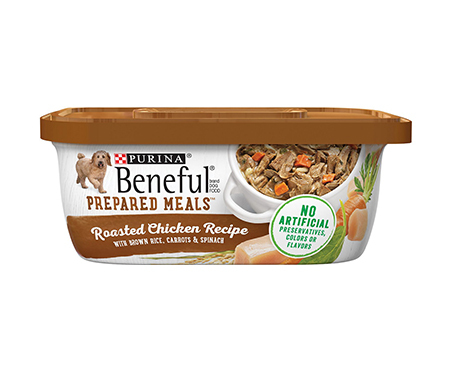 Delight your dog at dinnertime with the wholesome goodness of Purina Beneful Prepared Meals Roasted Chicken Recipe with Brown Rice, Carrots & Spinach Wet Dog Food. 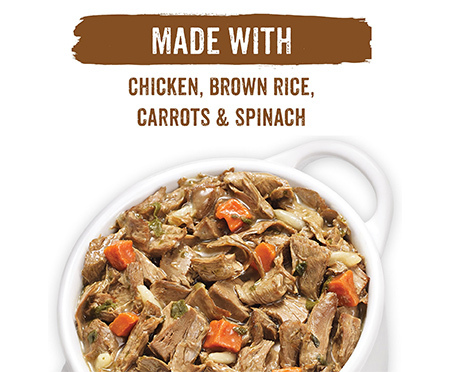 There’s real chicken and liver in every chunky bite for a meaty flavor your precious pooch will paw-sitively love, accompanied by delectable brown rice and a savory gravy that enhance the taste and texture. Real grains and vegetables you can see and recognize like carrots, spinach and brown rice add to the wholesome goodness of this tasty meal that’s fortified with essential vitamins and minerals to provide 100% complete and balanced nutrition for your best friend. 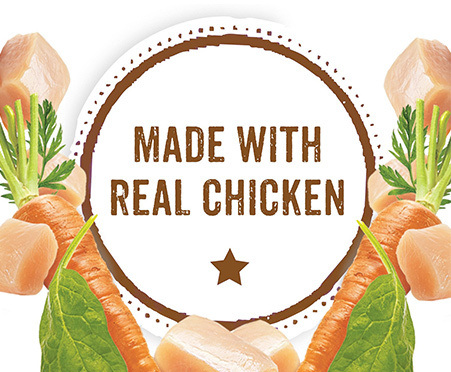 Hearty chunks of real chicken and liver create an irresistible meaty flavor your precious pooch will love. Real vegetables deliver wholesome goodness, while the savory gravy and brown rice add mouth-watering taste and texture. Formulated with essential vitamins and minerals to provide complete and balanced nutrition; contains no artificial flavors, colors or preservatives. Can be served as a complete meal or a delicious topper over dry kibble to add variety to your pup’s diet; resealable container makes storing leftovers simple. 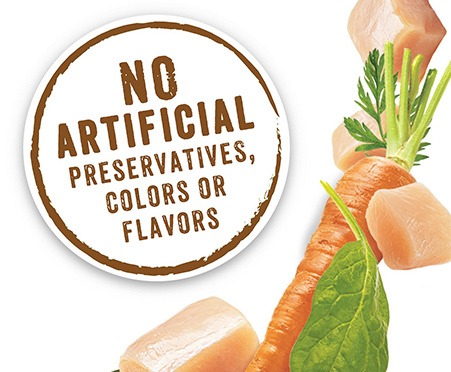 Manufactured in a Purina-owned U.S. facility to ensure product quality and safety.